"When it comes down to it, we're going to have to change the world." "When I talk about feminism, I’m not just talking about glass ceilings." At the 2019 Women of the World Festival hosted by the Apollo Theater last month, women came together for an honest conversation about the most important issues we face today. 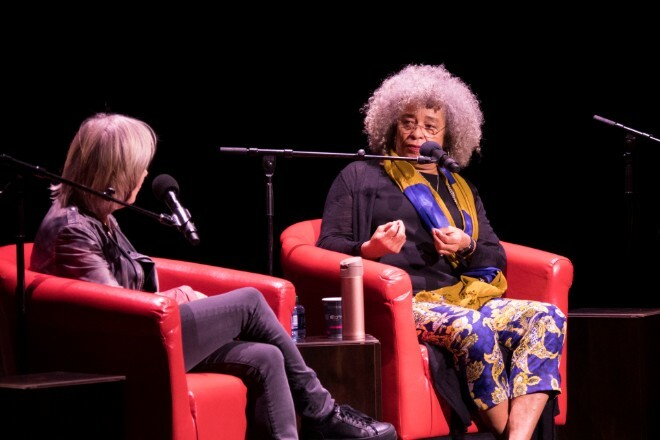 In her opening remarks, the legendary scholar and activist Angela Davis offered her views on intersectional feminism and why it's so vital for all of us to come together: “When it comes down to it, we’re going to have to change the world." In my latest piece for Forbes, I shared some important lessons about how we can make that change happen. Plus, for this week's episode of All the Social Ladies, I chatted with Allison Lowrie, CMO at HomeAdvisor/Angie’s List, about pursuing your purpose. One of my favorite takeaways from our conversation: Don’t wait for the opportunity to find you. Take a listen. Is there a feminist way to critique bad women bosses? Why women-led companies are better for employees. How the +1 mentality can help close the gender and race gap. Why women are still making so much less than men. The problem with telling women to email like men. We can't have everything. What matters is having the right things.